The Shoulder Microphone has a jack that allows incoming audio to be transmitted to a speaker button on a Communicate Ear dB Blocker™ or through our UltraLite to a Convertible dB Blocker™ or Filtered Covert earpiece. This Microphone has a pigtail specific to each radio. 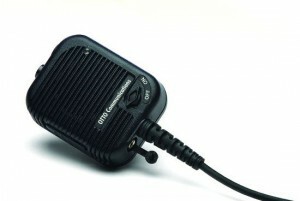 Radio make and model are necessary in order to supply the correct microphone.